I didn't realise until I thought about it how many things I currently own that are pink ribbon fundraiser items. I'm sure someone else has already blogged about these, but because I'm new to Pink Saturday I haven't seen one yet. What better way to add pink to your life than by purchasing lovely and practical pink items that also help raise money for a good cause? I'm very excited about my new pink video camera which came earlier this week! David and I will be going to pick up the new data card for it tomorrow, so hopefully I can make a start on making little videos for youtube, although I think I have to clear a lot off rubbish from my computer to make room first! And I particularly LOVE Dove pink soap, it feels so nice and soft and best of all it's pink! I just stash up on that whenever it's on special which happens from time to time. I've already blogged in "Pink Ribbon Toy Shrug" about the gorgeous little furry friend for whom I made a little crochet jacket! That was fun to do, lol. 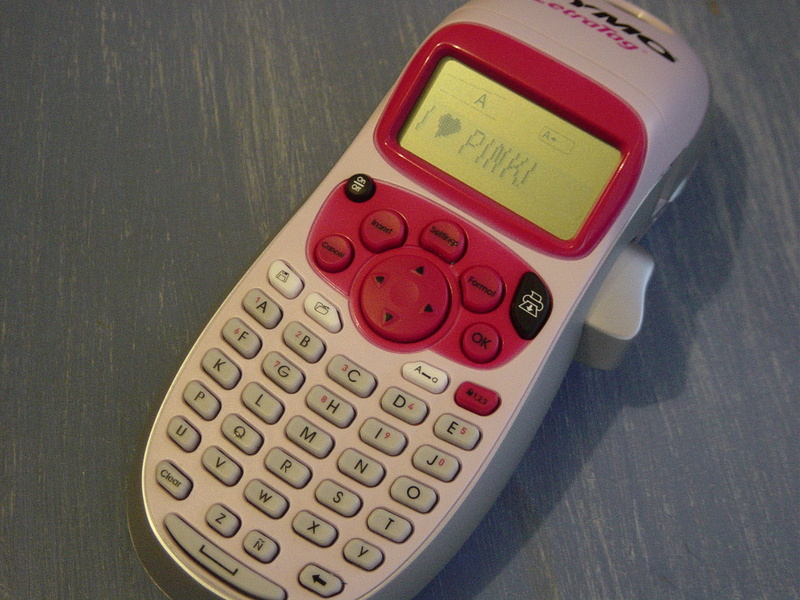 And I really like my very first labelmaker which still smells like a brand new barbie doll. It really should have the pink ribbon logo on it, but I'm pretty sure it was on the packaging, which I might add there was waaaay too much of, and needed industrial strength scissors just to cut open. Why do they have such impractical packaging, it really is silly imho. Although I've never purchased anything from the pink ribbon store, they do have one online. All of my pink ribbon purchases have been incidental from the grocery store, chemist etc, in my endless endeavor to add more pink to my life! And don't forget to stop by Beverly's blog for more details on Pink Saturday! You have some great Pink Ribbon goodies. 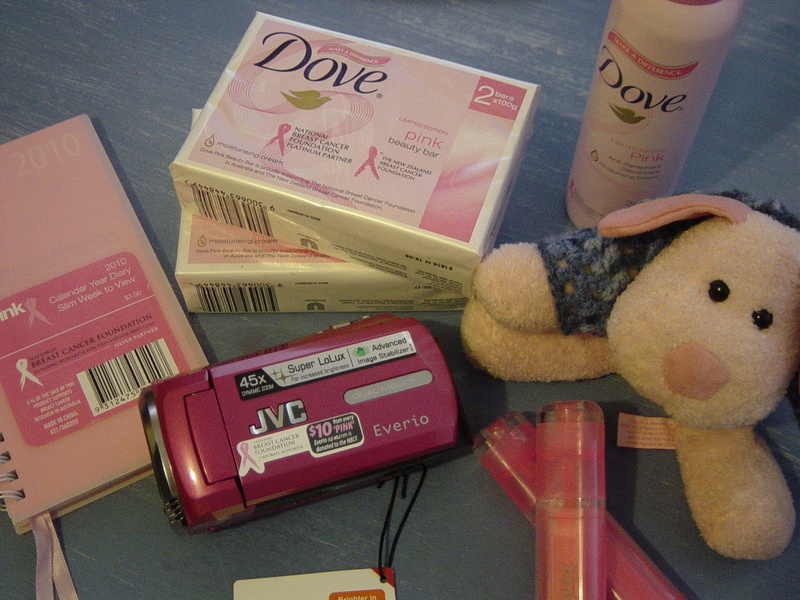 It is surprising how many things can be found to support the pink ribbon campaign. Loved your Anzac day post too! Welcome and happy pink saturday. What a lovely pink post. What a collection of pinks you have and all for good causes! Good luck with your new pink camera! Love all your pinks! I make my own soap but haven't experimented with colors yet. However, I would love to make some girly pink bars like your Dove. Happy PS! Love your blog, and the lay out... ah word press. I was out last week so missed your first Pink Saturday. Welcome to the pinkies, and hope you are enjoying us. Love your shares. I have not seen the Pink Dove, so I will be picking some of that up today. Love the label maker too, as I need a new one terribly, I will check out the Office Supply store and see if they have one in pink too. Your little critter is just precious, and love the little crocheted shirt that you made for him. Cute for sure. Love your pinks! Welcome to Pink Saturday. Your pinks are wonderful..and I know you will enjoy your new camera. Happy Pinks..
As a breast cancer survivor I really appreciated and enjoyed your post! Please stop by for a visit soon and enter my Mother's Day giveaway! One thing I've tried to do without success is soap making. I'd love to hear about how you do that, Sherry of A Happy Valentine. To another Sherry of Country Wings, I got the label maker from K-mart when they were on special, it was the only pink one left so I just had to grab it! Yes, of course you could use your grandmother's photo - it sounds wonderful! Sites like PicNik, Photoscape and Splashup might just be perfect for you. Hope this gives you a few ideas, and do email again if you need any help. Hugs, and have a great weekend. Happy First Pink Saturday. 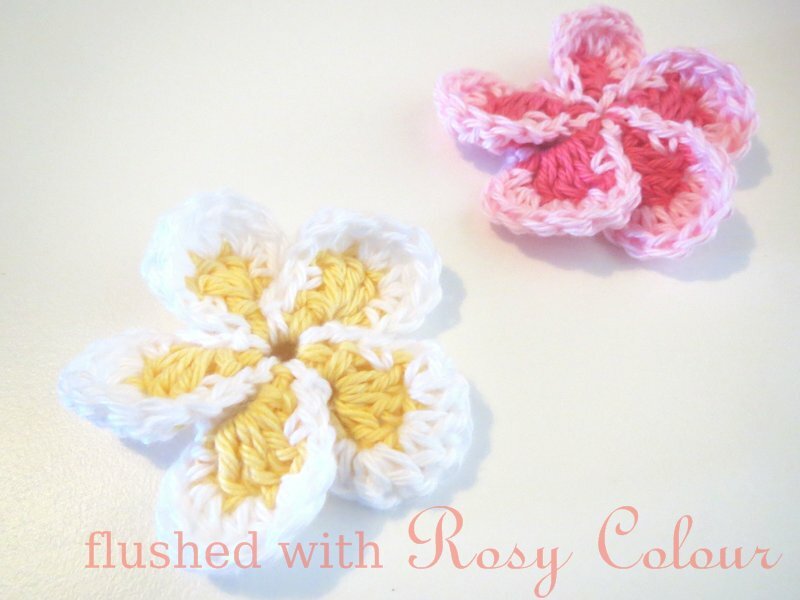 Lovley way to include some pink in your life!